Teresa is a welcoming and friendly face at the reception of Burns Bay Physiotherapy. Teresa loves chatting to you and will make you feel welcome and relaxed. Teresa lives locally with her family. 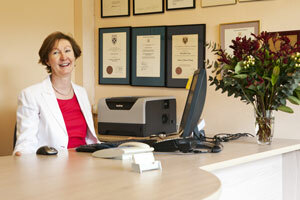 Teresa is our most experienced receptionist, with over 5 years at Burns Bay Physiotherapy.